And they'll be here March 31 to lead us in an interactive, on-site "Placemaking" workshop on the riverfront. Architects: CEU credits available on a self-reporting basis; contact Heather Baugus at AIA office for more information. The February Project for Public Spaces newsletter takes a look at “Waterfront Renaissance” and the opportunity waterfronts bring to create great public spaces. 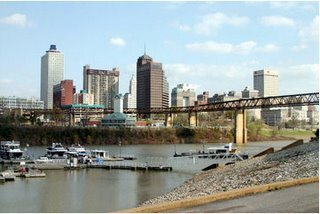 Memphis is included as they discuss how to turn a waterfront around, the challenges, failures, mistakes, and successes. Click here to read the PPS newsletter. And come join the discussion on March 31. Your input and involvement can help shape the future of our waterfront. As Charleston, S. C. Mayor Riley said, it’s our “finest edge,” and as you’ve said, “it’s our #1 treasure.” We have a shot at creating a masterpiece for ourselves and future generations.